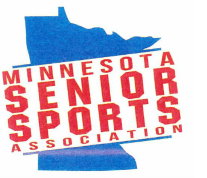 ﻿The Minnesota Senior Sports Association, a registered 501 (c) 3 nonprofit organization, is dedicated to encouraging and supporting men and women from Minnesota in their pursuit of competitive athletics. This website serves the key function of providing information about senior sports and links to further information for participants and their legions of fans. The site will ALWAYS be under construction, because we'll add information about more organizations and their events as soon as we find it! We are an umbrella organization, always on the lookout for active sports organizations and their participants. We want to help make it easy for senior athletes to find their sports, find the organizations that create events and then help provide encouragement and recognition for the achievements and efforts of everyone involved. Please contact us if you know of groups in your area or in a sport that you love.